WHAT DOES IT MEAN TO BEAD-WEAVE? WHAT DOES IT MEAN TO “BEAD-WEAVE”? The answers to this question anticipate our strategies for how best to train and educate people. The answers imply our goals and preferences for how people learn, what they learn, in what order they learn things, and how they apply what they learn, and how we should measure success and accomplishment. Over the 24 years I have been doing this, and I’m going to generalize here, all too often, I see people learning techniques, but not skills. I see people wed themselves to one or a limited set of techniques, to the exclusions of others. I see people who avoid learning higher level concepts which would assist them in coming up with new ideas for manipulating beads within a composition. Or they insist or pretend that there are no higher learnings — no theories, no concepts, no structures — beyond the simple step-by-step techniques they rehearse over and over again. So obviously, part of the answer to me, of “What Does It Mean To Bead Weave”, goes beyond technique. I would want to switch the emphasis in our training programs, our magazines, our how-to-books, our online tutorials from a focus on specific techniques to a focus on specific skills that might span all or most techniques. To me, “bead-weaving” means to manage a process using beads as the medium, thread or other stringing material as canvas, within a particular composition such as a piece of jewelry. What does “bead weaving” mean to you? While I occasionally use armatures in my beadwork projects, I have a psychological aversion to them as somehow contaminating my beadwork, making it less pure, taking the sacred and making it profane. I think what I viscerally react to is how often, the way people use the armatures, makes the piece look more crafty or less finished. Nevertheless, when you need your beadwork to hold a shape, what other things can you resort to? What kinds of experiences do you have with armatures? What kinds of materials have you used, and which to you like to use best? 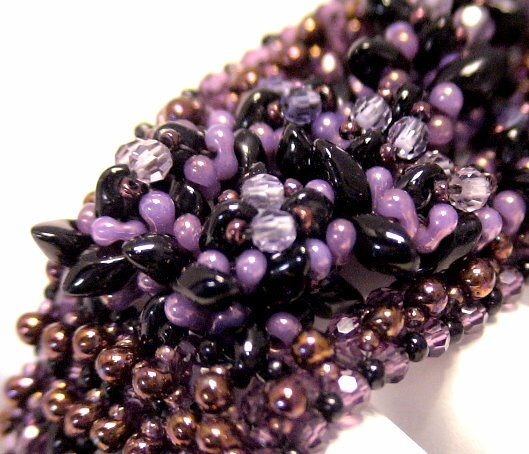 How do you marry the beadwork with the armature? Camouflage? Armature is used to create and preserve shape within a piece. It is a type of “skeleton” or internal structure. Your goals, as a bead artist and jewelry designer, are to select an appropriate material and size of the armature, so that it does not compete or detract from your finished piece. You do not want your piece to look or feel “crafty.” You want it to look and feel artistic and well-designed. You do not want your piece to feel weak, or somehow insufficient, given the wearer’s and the viewer’s expectations. You do not want the essence of the armature’s materials in any way to work against the essence of the material(s) your beads are made of. Usually, but not always, this means hiding the armature inside the piece. In making your selection of armature, you need to understand the design-relationships between those sections of the piece requiring armature, and why they require it. One reason is to create or preserve a Shape. In Autumn’s End (pictured), Kathleen Lynam wanted to turn the somewhat soft, floppy and flimsy Ndebele tube into a solid, 3-dimensional, consistent tube. A second reason to use an armature is to Pose. In Autumn’s End, she wanted the Ndebele tube to make a circle around a person’s wrist, and, once there, stay in form and place. Thus, our armature needs some degree of flexibility, but at the same time, it must be able to hold the pose, as well. A third reason has to do with Action. She was concerned with Action, when a part of her piece had to be animated in some way. This is somewhat important with Autumn’s End, in that our wearer will have to pull open and push closed on the wristlet, to get it on and off, and to position it comfortably on the wrist.. There are many types of materials bead artists and jewelry designers use to make armatures. Sometimes this involves stuffing with cotton or fiber fill. It might involve using tin foil. Othertimes, we might use a toothpick, dowel, straw, tubing, wire, or metal rod. We can also create the armature using glue to create a solid or stiffened structure. We can also create our armature from sculpted clay, like polymer clay or metal clay or plastic wood. Given the shape and pose requirements of Autumn’s End, her choices came down to plastic aquarium tubing, a thick-gauge wire, or plumber’s solder. The tubing would not have met her “pose” and “action” requirements anywhere near as well as the solder does. Nor would a thick gauge wire. In this piece, she used the idea of “Armature” in a secondary way. She painted the flowers and leaves with acrylic floor wax. This stiffened the threads — what would be considered the canvas of the piece — so that these threads, too, turned into a type of armature preserving “shape” and “pose”. We are in the process of turning Autumn’s End into a kit for sale at Land of Odds and LearnToBead.net — not ready yet — , but you can see some images on our website. I remember one of the first times I had to say Good-Bye to my piece, and it hit me hard. 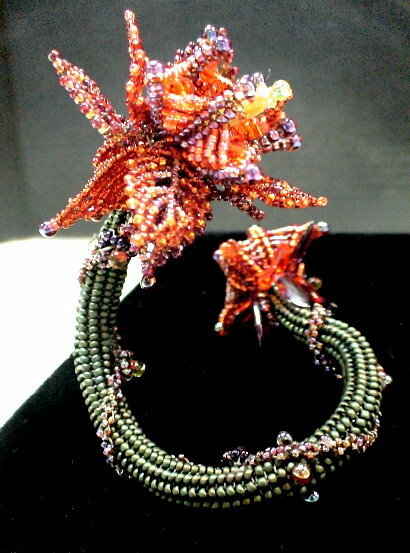 I had one of my pieces accepted as a Semi-Finalist entry for Swarovski’s Be Naturally Inspired Design Contest 2008. The week I had to ship my piece to Swarovski — a piece I had worked on over 100 hours to make, that from concept to fruition has been many, many months, and a lot of trial and error. And they were going to keep it. I would not see it again. I have to tell you, I got a little separation anxiety. Which made me think that this raises a good discussion question. How do you say Good-Bye to your pieces? I’ve sold a lot of pieces. Each one is special. I always give a name to each piece. Each piece has its own story. It’s own inspiration. And all of a sudden, its gone. Someone else has it. So how do you say Good-Bye to your pieces? OUR 2013 ALL DOLLED UP CONTEST – Two Mermaids – What Do You Think? This year, we did not receive many entries. The Judges felt that there were not enough entries which met their criteria to hold a contest. Two of the entries, however, were awarded Judges Honors with a $200.00 prize. 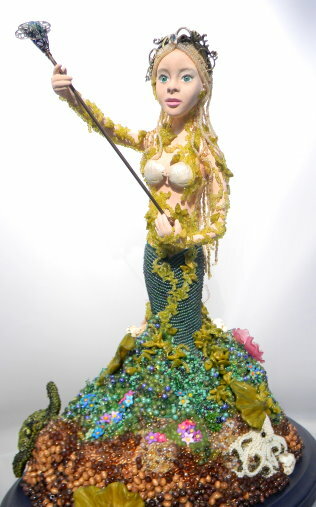 It was interesting that both artists – one from California and the other from Texas — both chose the “mermaid” to illustrate this year’s theme of Transformations. Both artists, however, created their dolls using different technical methods and artistic goals. If you were a judge, which one of these entries would you have scored higher? Visit the webpages and review their images, materials lists, and written stories. Our ALL DOLLED UP Competition is structured , not as a “beauty contest”, but more of a “design competition.” The artist is asked, not only to design a doll, but to create a story – fictional, non-fictional or a mix of both – which illustrates the kinds of thinking and choices the artist made while creating the doll, its structure, its colors, and its artistic embellishment. 2. 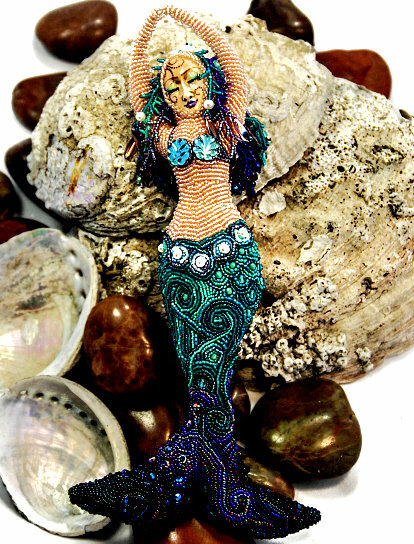 TECHNIQUE(S):Creativity of the artist in using various beading stitches, as well as creating the doll’s form. 3. VISUAL APPEAL: The overall visual appeal of the doll. 4. QUALITY OF WRITTEN STORY: How well the written short story enhances an appreciation of the Beaded Art Doll. Another Land of Odds Deal on Spring Rings and Toggles! I recently posted an article I had read about selling on Etsy (http://www.today.com/money/etsy-nomics-lets-sellers-stitch-together-living-new-pattern-2D11591368) . There was a big response, so I thought I’d do a little more research. I have been selling online with my own websites for almost 20 years now, but have not had much experience with selling through these online marketplaces. I have found that many people get frustrated with these sites, in that sales can be minimal, or the numbers of people they are competing with seems daunting. But I have found these same people not doing all the necessary “good business” tasks, such as some intensive and persistent marketing of their wares, and smart photo and text detail for their pieces. Question: WHAT KINDS OF EXPERIENCES HAVE YOU HAD, and WHAT KINDS OF TIPS CAN YOU OFFER? Here’s some of the things I have found. – Does site handle the billing and payments for you? – What kind of marketing does the site do? – Is it relatively easy to set up your site and keep it updated? – Are there are limitations on the numbers of items you might list at one time? – Are there any limitations on the number or size of photos you can include on your site? 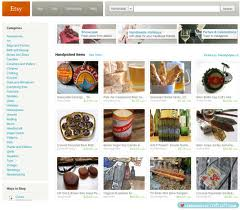 – How and where will your items appear in a search listing on the host’s site? – What payment methods/options are allowed? – Does the site restrict items to “Handmade” only, and how is “Handmade” defined? You do not want to compete with cheap, imported, machine made jewelry. – How easy is it to contact customer service? Do they provide a lot of easy-to-follow tutorials for setting up and managing your site? (3) Do NOT depend on the host to promote your site; you must actively – that means, almost every day – do things to promote your site. Many, many people you will be competing with do not necessarily have good business sense, particularly when it comes to pricing their jewelry. People, in general, tend to underprice their pieces. They go out of business quickly. But while they’re in business, you are competing with them, and often you find it hard to compete on price. This is a given. That means you have to spend more energy on marketing your competitive advantages, in order to justify the prices you need to charge, in order to stay in business. Some of this will come down to better presentation – more facts and great detailed images about your jewelry, and more details about the how your jewelry will benefit your customer. Better presentation equals more trust; more trust should translate into more sales. Some more competitive advantages: your jewelry is better made; it uses better materials; your line of jewelry is broader; you have better customer care policies; your style is more unique; your jewelry supports as “cause”. And many, many more people you will be competing with have very good business sense. 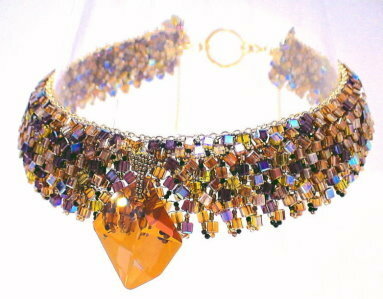 There are over 6 million items of jewelry on sale on Etsy at any one time – many by sharp, savvy artists. To get seen, heard and responded to takes emphasizing your competitive advantages, as well as persistent, broadly targeted marketing.